Rather than committing myself to a definite itinerary for the second half of my South Island Ramble, I left it “to be determined”. 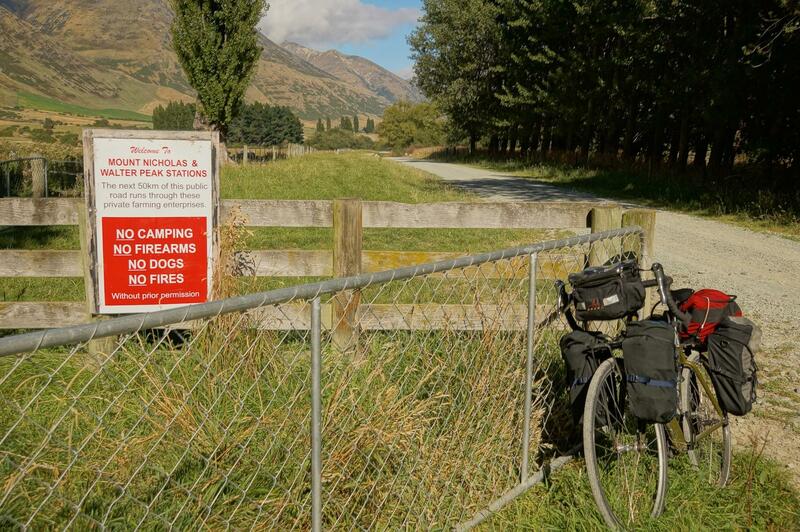 To make sure that I had most flexibility in terms of route, I ended up hauling my camping gear (about 3.5 kg of dead weight) all the way down to Queenstown from Christchurch, where I had started the ride. 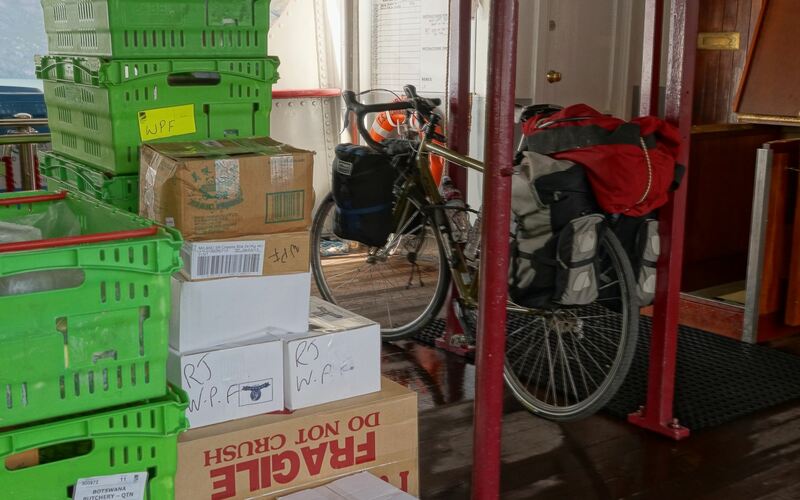 In retrospect, I should have either not bothered with the stuff at all or had Natural High, the bike rental agency, arrange to ship it ahead to Queenstown for me. Maybe next time! Click here for the interactive Google view of the ride. 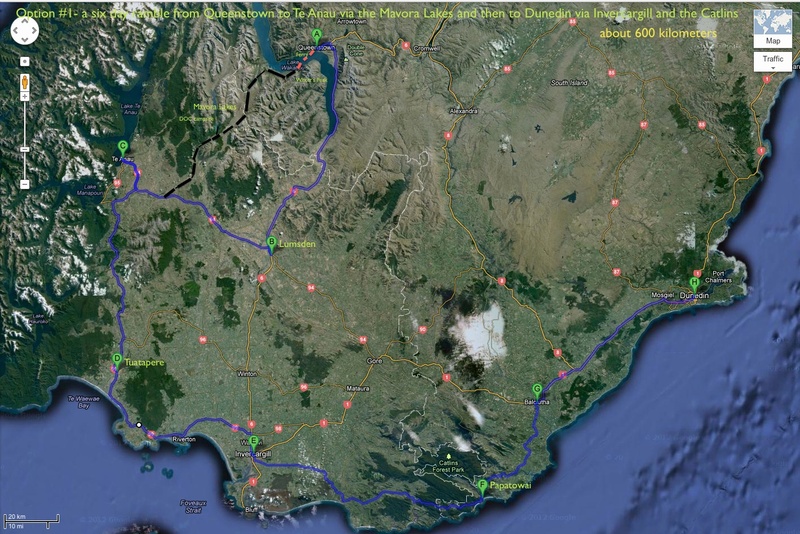 Do note that the Google route maker cannot show the gravel roads from Walter Peak to the Te Anau Highway so I’ve put an approximation on the map. This route would need a week and would take me to Walter Peak via the coal-fired steamship TSS Earnslaw. 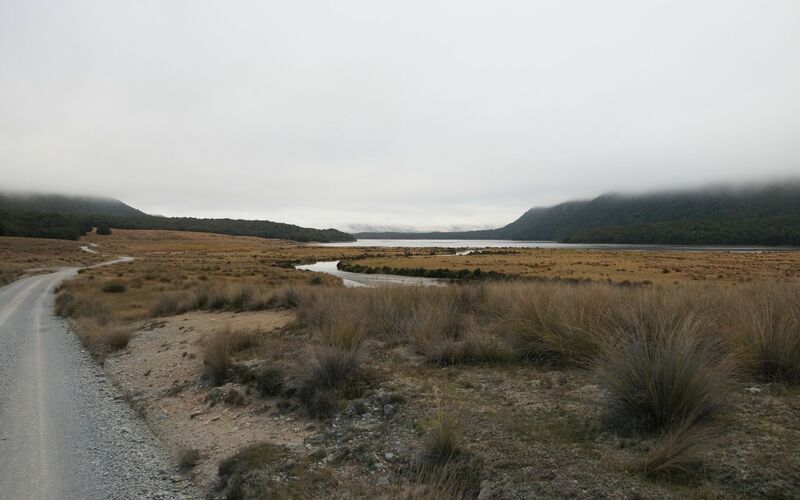 From there I would cycle the Mount Nicolas-Beach Bay, Von and Mount Nicolas Roads to the Mavora Lakes campground and a tent spot. 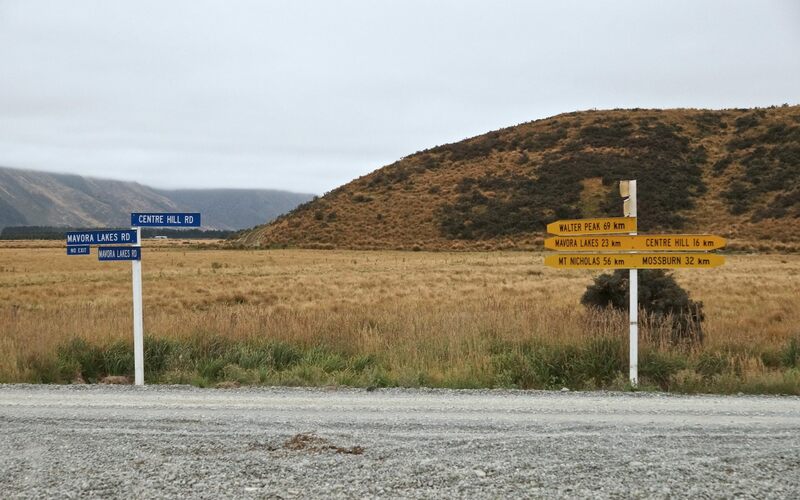 The next day I would continue to Te Anau and then head to Tuatapere and Invercargill before starting my tour of the Catlins. The end point would be Dunedin, from where I would catch a bus back to Christchurch the day before my flight back to Toronto. 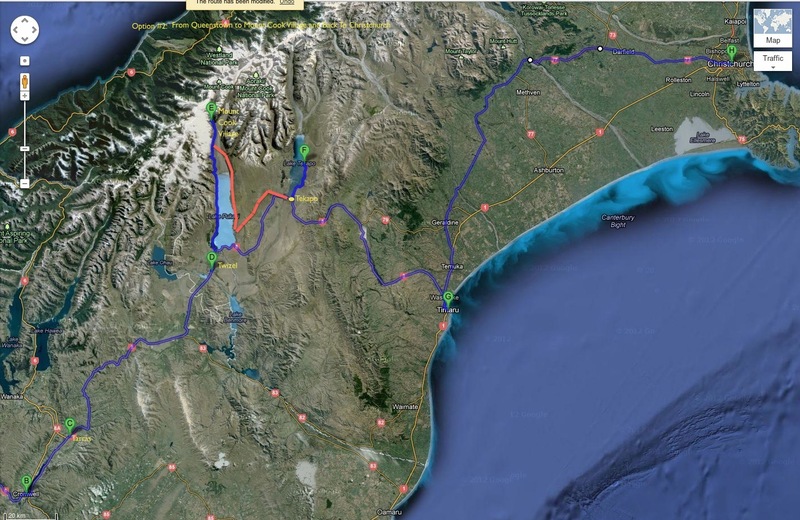 A highlight of this route would be the relative isolation and emptiness of the roads as I cycle to Te Anau from Walter Peak and along the south coast from Invercargill. It would definitely add some variety to the mountainscape of my ride up to this point. Click here for the Google map view. I was thinking that perhaps this route would give the most Wow for my efforts. 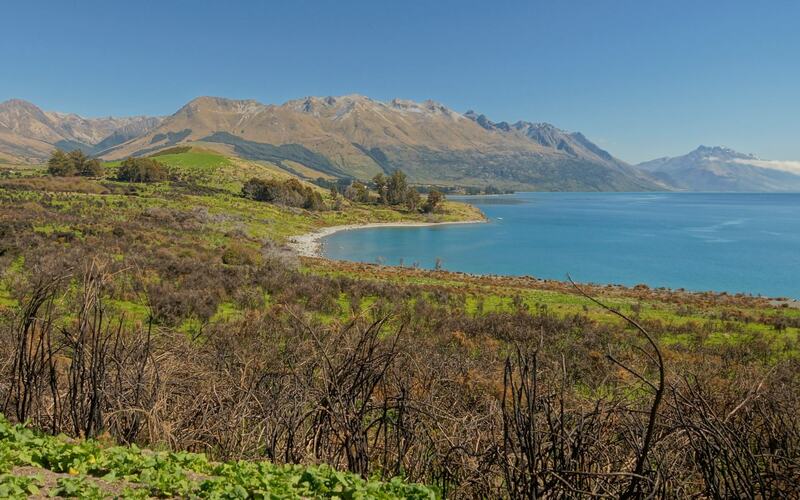 From Queenstown I would make my way to Twizel (Twhy-zul) via Cromwell and then follow the road on the west side of Lake Pukaki to Mount Cook Village. 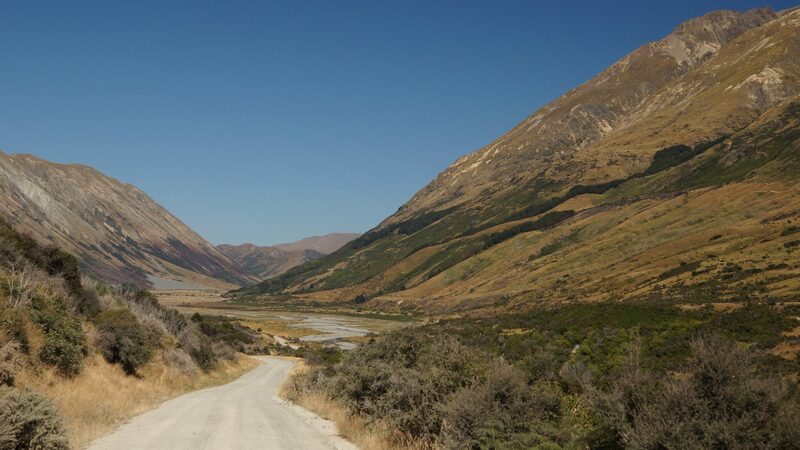 From there it seems possible to connect with a gravel road (the Hayman Road) which runs down the east side of the lake before turning east on the Tekapo Canal Road. (Again, the Google map maker does not do gravel roads! See the red line from Mt Cook Village to Tekapo.) Tekapo, at the south end of the lake it is named after, would be the next stop. Then after riding down to Timaru I’d make my way back to Christchurch via any route other than the very busy SH1 ! The reward here would be more mountains and hills and glacial lakes, never a bad thing. I ended up going with Option #1. Well, at least I did until I got to Invercargill. 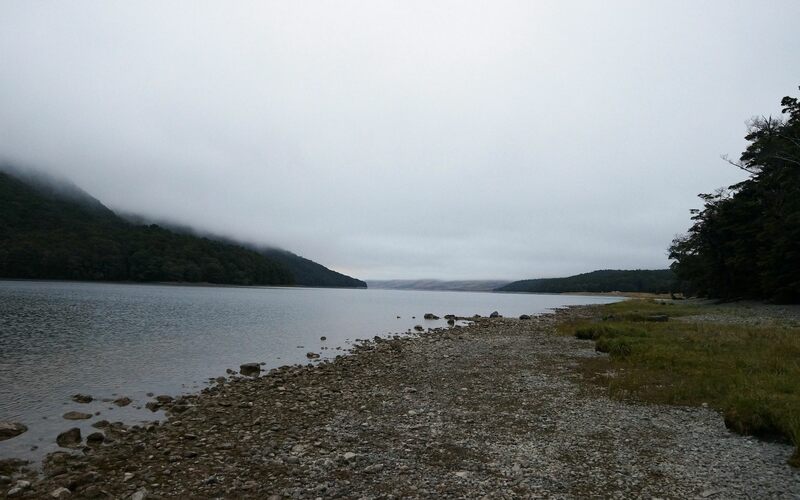 A spur of the moment change in plans led me to cycle to Gore instead of heading deep into the Catlins. 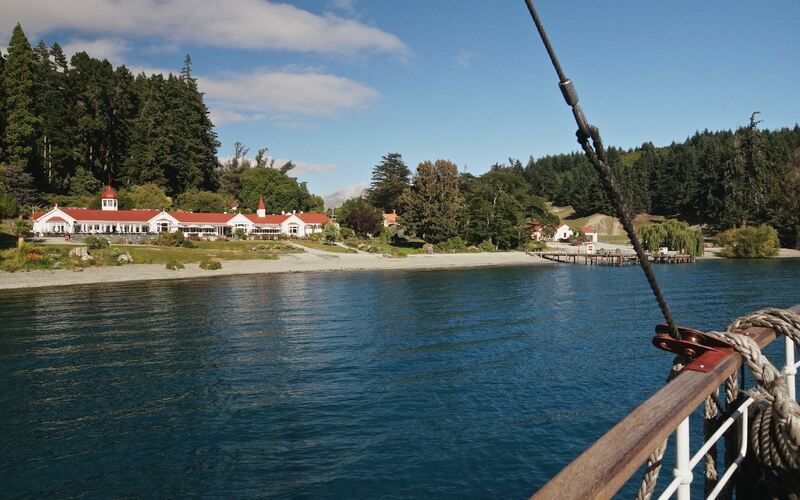 So – no Catlins! I’ll explain why below. And then a day spent on the admittedly generous paved shoulder of SH1 all the way to Gore convinced me that another two days of SH1 to Dunedin was not going to be much fun – so I hopped on the bus at Gore the next morning at 9:30 and three hours later I was in Dunedin. It was the right choice – I got a day off the saddle and spent a glorious next day doing a 60 km tour of the Otago Peninsula with my unloaded bike. 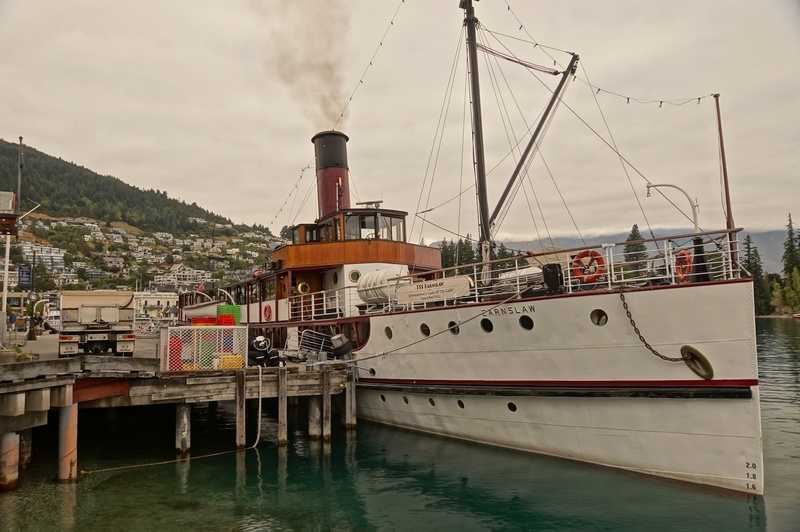 The TSS Earnslaw was being readied at the wharf on the waterfront as I cycled over from my room at the Lakefront YHA hostel. 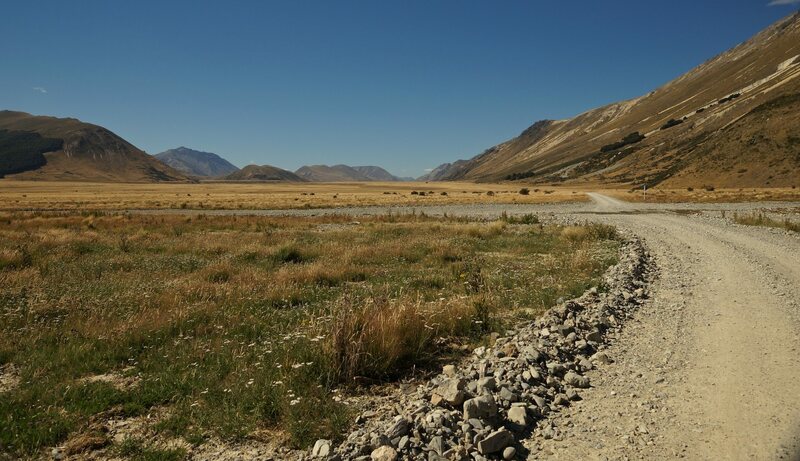 It was another clear and sunny day and I was looking forward to a different kind of ride this day – the all-gravel road that would take me from Walter Peak to the Mavora Lake campground on my way to the highway to Te Anau. approaching the top of the big hill on Von Road – around the corner was more “up”! 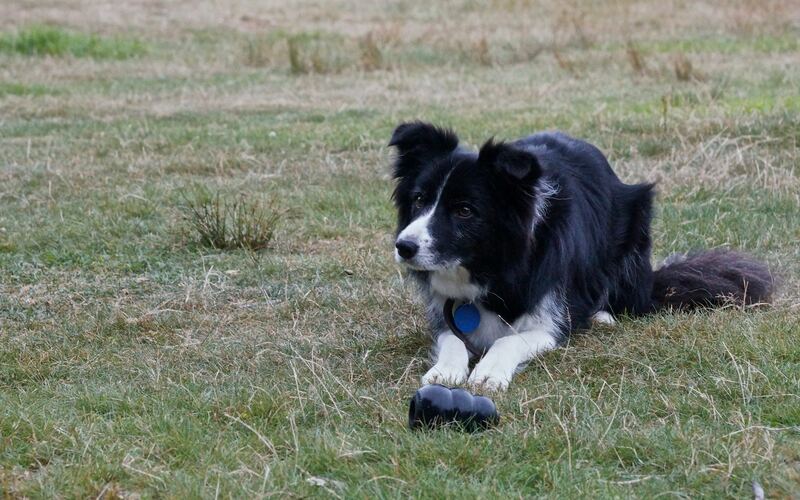 Bernie the border collie at the Mavora Lake camp spot – ready to do some work! It is the end of August and I hope to finish off this post in the next month or so! See below in the Comments section for my lame excuse for leaving it hanging like this! 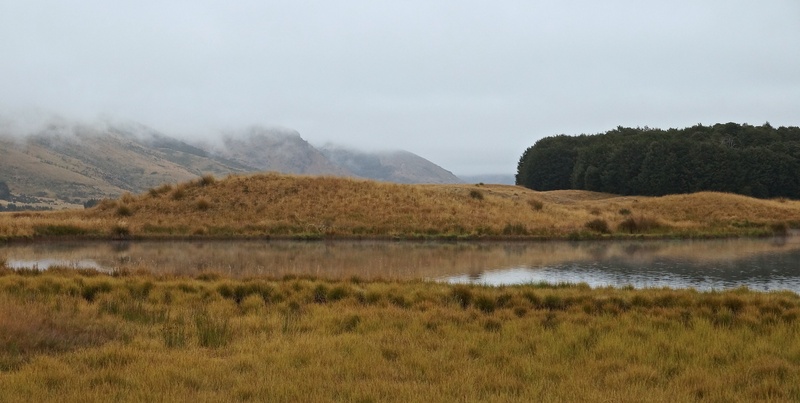 I have posted something on the 60-km Otago Peninsula ride. 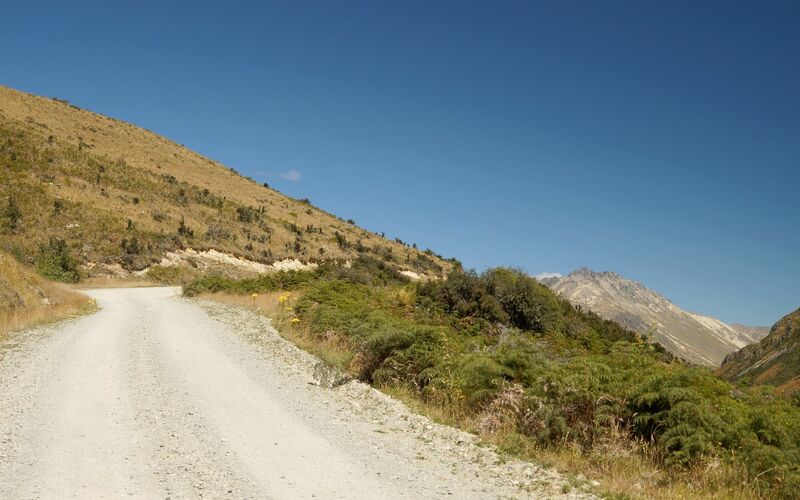 It was one of my top-three favourite days on the saddle on South Island. Incredible scenery/great views/good roads- and my 50 pounds of baggage was back at the motel room in town! Where’s the rest of the days’ commentary? I was rather enjoying living vicariously through you. 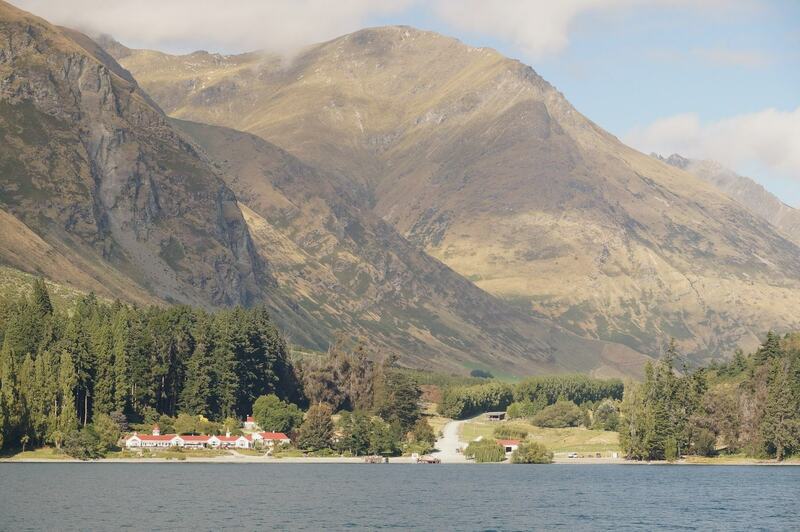 It has been a dream of mine to cycle New Zealand but i’m not sure I’ll ever get chance. Gregory, congrats in reading through all that stuff! In early spring I got kinda sidetracked with the planning for the just-finished canoe trip. Then I got totally immersed in native Indian pictographs and spent some time learning some rudimentary Ojibway. After that I spent a couple of weeks editing a trekking guide to the Annapurna region. This prompted me to write up a post on the actual Annapurna Circuit! As you can see, I have a short attention span. This fall and early winter promise to be pretty quiet – al least until I start planning a trip to Sri Lanka. 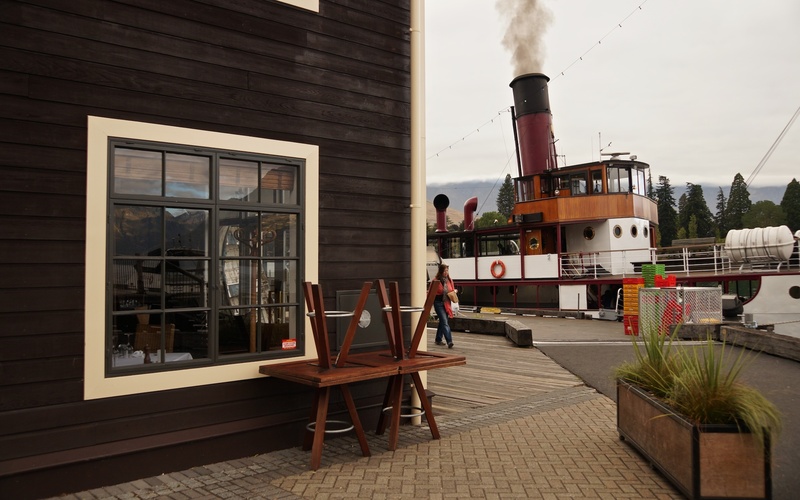 I am definitely going to finish off the post with pix and info from Te Anau down to Invercargill and then over to Dunedin and the Otago Peninsula – if you are not up to cycling it, there is ample public transport that would still allow you to see everything I did. You could spend more time in each town than I did in my whirlwind tour! I see you are a very busy man. I only wish I could be so well-traveled. For those of us who cannot venture as far, its nice to be able to live vicariously through postings such as yours. Its been a pleasure. God-speed and Good fortune to you sir! You know the whole World. You see the colour of the sky. We are all fellow-travellers! God-speed and Good fortune to you too, sir! Hey. I am from Ottawa an am heading on a solo cycling trip to NZ in March. Thanks for the posts. Very helpful with my planning. Any other tips? parks_girl, March will be great. The new school year begins in early February so the roads quieten down a bit after that. South Island is definitely the first choice of most cyclists though I am sure North Island has more than a few great stretches. I did decide that maybe the traffic on North Island is more than I wanted to deal with so I ended up forgoing the bike trip for a more touristy non-cycling visit to Myanmar. Re: tips. I dunno…any specific concerns or questions? I do remember wishing I had brought my handlebar mirror along; I balked (stupidly!) at paying $40. for one in Christchurch so I did the whole trip without a mirror. Who knows – maybe it was best not knowing what was coming! I did get off the road a few times and let the traffic go by, especially on hill climbs. You still have a couple of months to up your fitness level a notch or two. It’ll make the trip itself that much more enjoyable. Even if you’re going alone, you will meet as many fellow cyclists as you care to stop and talk to and maybe cycle with. Have a great time. Thx. 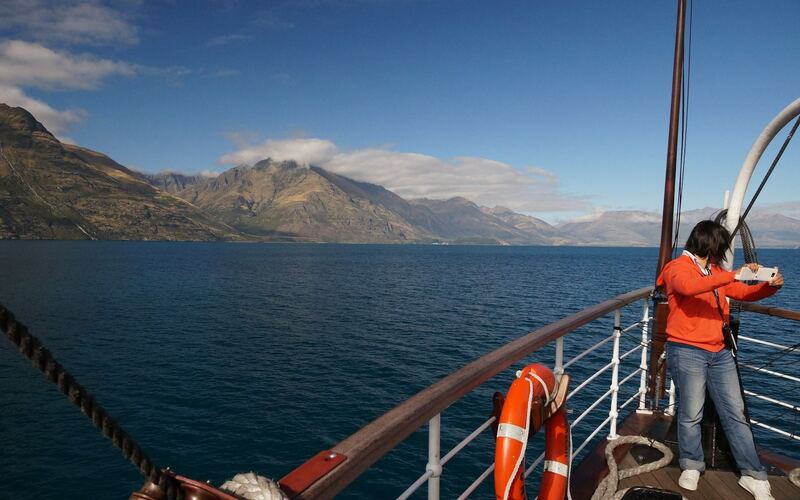 I will be sticking to the South island and have almost 6 weeks to explore. This should allow me the time to take a few days here and there to hike (e.g. 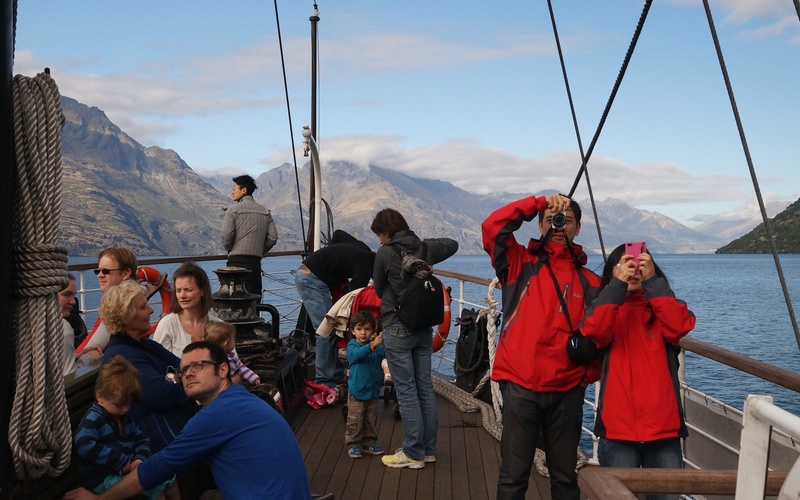 Milford Sound) or just relax/recover! I was counting on x-country skiing to keep my fitness levels up but the lack of snow means I have had to resort to the gym. Good to know that there will be lots of other cyclists to connect with. I have done lots many cycling trips but this is my first long one on my own. this post has been so helpful! 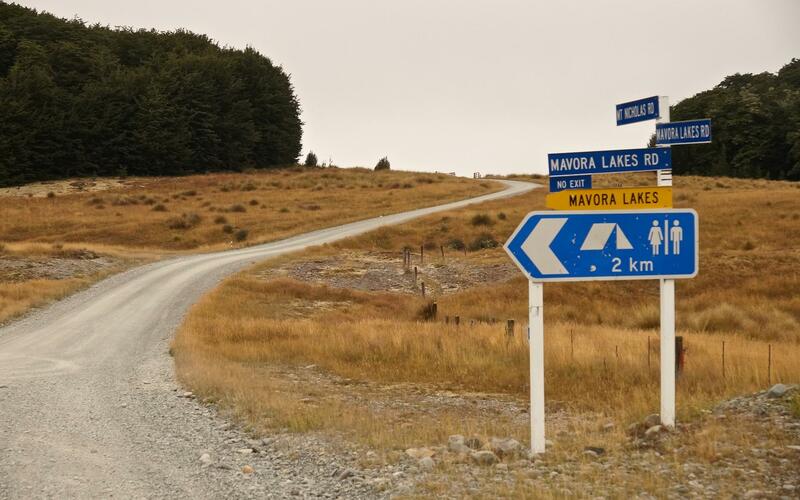 I am planning the same route from Walter Peak to Te Anau.. but I have heard stories that the quality of the mavora lakes road can be very variable and places can be washboarded.. have you found this on your trip because you photos would indicate its a pretty good road all the way? Would appreciate your feedback. Cheers! The one problem I experienced was inhaling the road dust generated by vehicles as they passed by on the road. 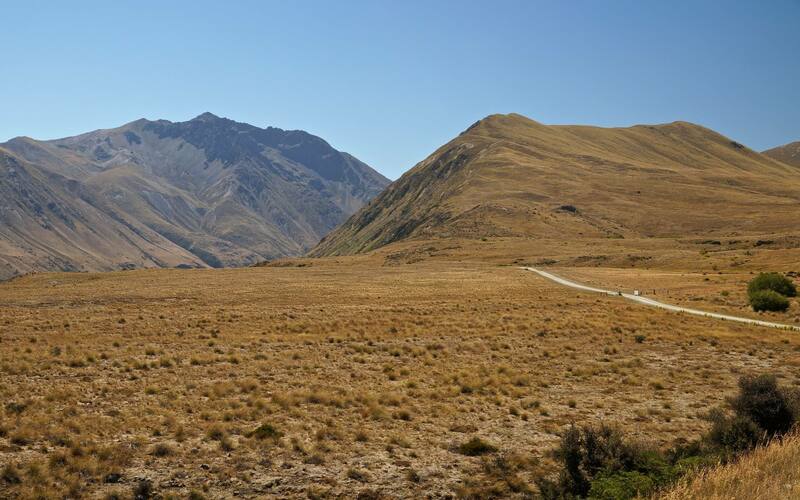 It had not rained on South Island for a month so you can imagine how dry it was! 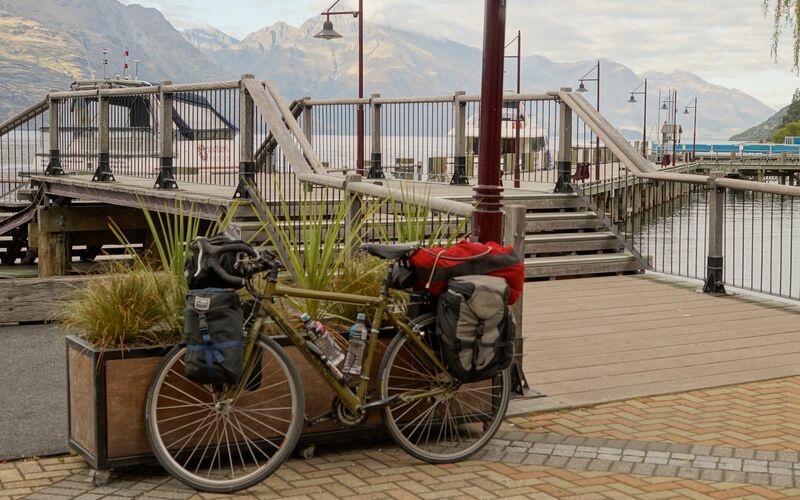 Also, you will probably have to divide your ride into two days – I tented at the camp site on the lake about half-way between Walter Peak and Te Anau. 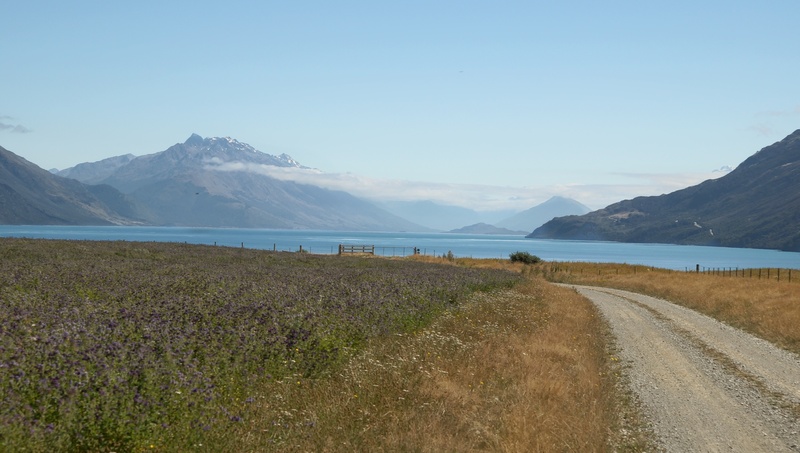 The ride from Te Anau to Invercargill was an easy one – fairly flat with little traffic and nice views. 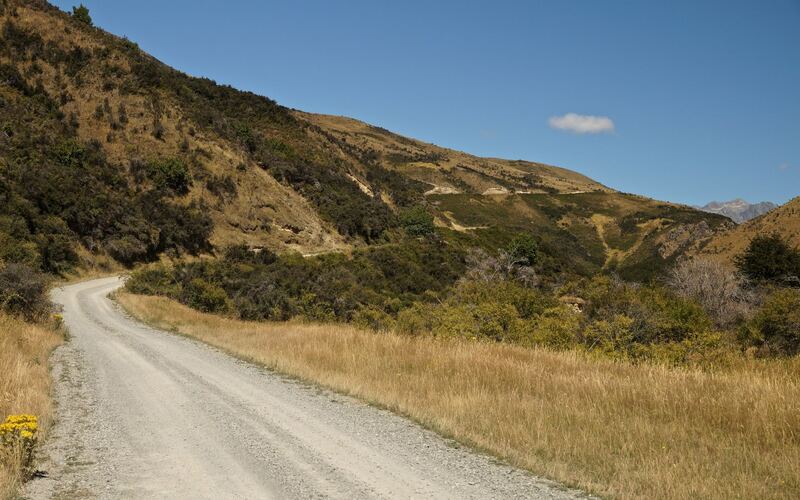 Enjoy your ride when it comes – this bit of road was one of the ones I still remember from my ride down South Island.